Summertime is festival season and that means food galore alongside the music. 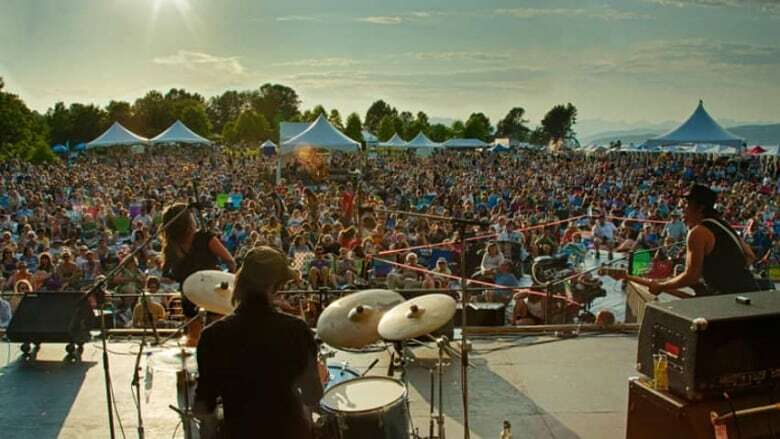 CBC's On the Coast food columnist Gail Johnson came up with a list of some local festivals around Metro Vancouver that are bound to be delicious. "It's 10 days of music, film, literature, poetry, dance, visual arts and, of course, food." The theme this year is "myth-making" and celebrity chef Vikram Vij is leading it. 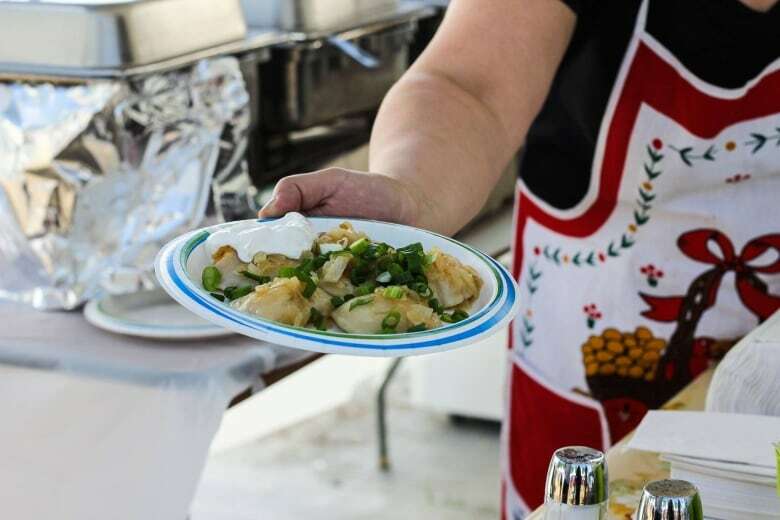 Some of the other big names include: Tayybeh, the well-loved catering company and food truck run by Syrian refugees, Ojibwa chef Theresa Contois of Cedar Feast House who specializes in Aboriginal fusion cuisine, and northern Indian chef Karan Suri. 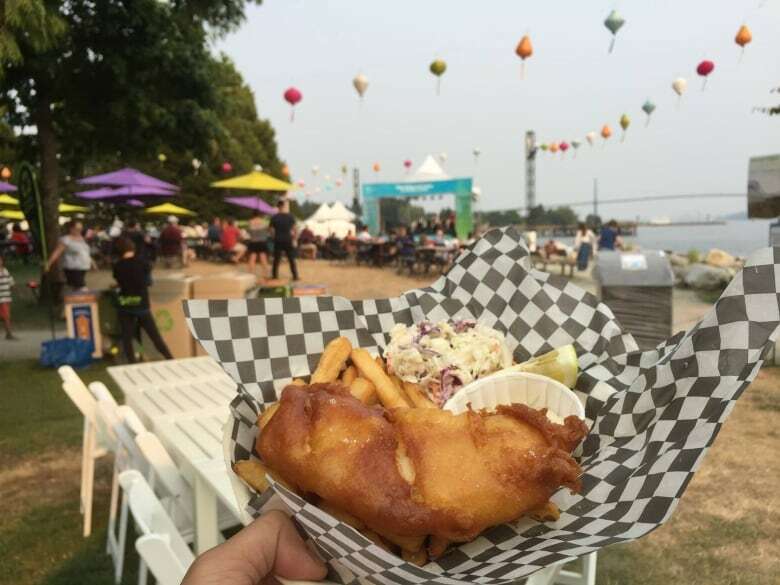 "Even though the food there isn't the focus, you know you're always going to have some of the city's most popular food trucks to check out." Fun fact, Earnest Ice Cream got its start at this festival. "It has dozens of food pavilions representing different countries, so you can find everything from honey-jerk chicken from Ghana to fish pakoras to Taiwanese sausage. It's incredible." 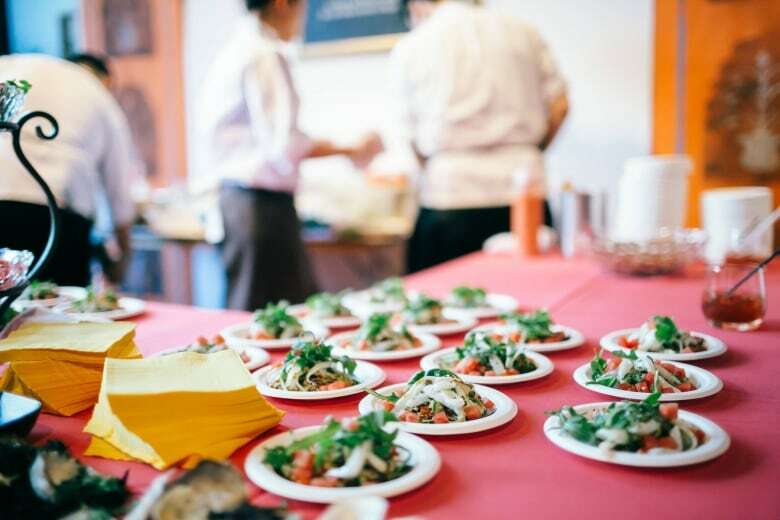 "There are several culinary events, including Best of the West. That's a competition of food and wine pairings by 12 local restaurants being held at Ambleside Pier." "This is an inaugural celebration of Indigenous cuisine at Ambleside Landing. It will open with a "blessing of the food" and feature a curated menu from Salmon n' Bannock." "The festival is actually subtitled Music, Food, Art. That, right there, is proof of just how important the local culinary scene has become in Vancouver. Food isn't secondary here; it gets equal billing." Several restaurant pop-ups and food trucks, including Bao Bei, Vij's, Belgard Kitchen, the Kaboom Box, Fat Mao Noodles and the city's first and only Indigenous food truck, Mr. Bannock, will be on site. Also, the Skookum Long Table Dinner Series, consisting of one dinner for each night of the festival, will take place under the trees with local chefs and restaurants.